Carrie Anne Philbin, an absolutely inspirational CS teacher of the sort I wish had been around when I was a kid, has been doing a lot of work with the Pi in her lessons over the last year or so. She’s creator of the Geek Gurl Diaries YouTube web series, a Computer Science and ICT teacher, recipient of TalkTalk’s London 2013 Digital Heroes award, and somebody that all of us at Raspberry Pi think very, very highly of. Most recently, Carrie Anne has spent much of the summer working with Dr Sam Aaron at the University of Cambridge on a Key Stage 3 scheme of work for schools, tailored for England’s new programme of study, based around a little something of Sam’s called Sonic Pi. Sonic Pi is a programming environment that allows you to make sounds. Which is a very dull way of saying that it’s a way to build your own synthesiser from scratch. Sonic Pi, and the associated teaching and learning materials, are open and free. Dr Sam Aaron is a researcher at the University of Cambridge Computer Lab. He’s also a musician, and he’s one of the most interesting people I know, with a breadth of knowledge and enthusiasms that makes for some very late nights of conversation when he visits Pi Towers. Sam’s been working on Sonic Pi since 2012, and we are delighted to see his work being used so successfully in schools. Sam’s (rather brilliant) realisation is that you can engineer a situation whereby kids accidentally learn fundamental concepts of computing, programming and programmatic thinking, by being asked to do something creative: in this case, making music with a tool they’ve built themselves. The set of lessons will take kids from a starting point of no familiarity at all with computing. Sonic Pi, with the lesson plans and materials provided by Carrie Anne, gives teachers with little or no programming background plenty of support; those lesson plans offer a guided route through using Sonic Pi in the classroom. 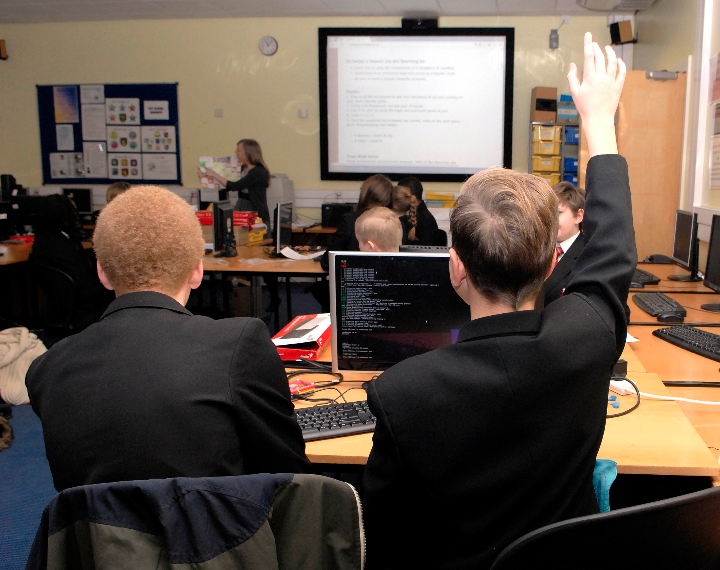 I get asked by teachers all the time: how can Raspberry Pi be used in the classroom? And how can it help us meet the aims of the new Computing programme of study? These were questions I had, until I met Sam and started to develop lessons using his music Pi synthesizer software. For me, gender neutrality, creativity, imagination and tinker time are the basis for learning computer science in my classroom. When Sam suggested teaching computing concepts with music, I knew he was onto a winner, and that it would tick all the boxes. After a month or so of planning and preparing in Jan 2013, we started to teach our Sonic Pi lessons to my Year 8 classes, and I was astounded. Firstly, by just how engaged they were by this little computer. Getting students away from the ‘internet boxes’ in the room got them thinking about what a computer really is, wherein lies the power of the Pi. Secondly, by the positive reactions of both genders, and of students with learning difficulties, who in the past had been quite negative about the subject. In fact my most memorable occasion was when a member of the senior leadership team came into the room. He spotted my learning objectives on the board and then asked a normally uninterested 13-year-old girl what she was doing. In a few sentences she explained logic, sequencing, iteration and conditionals in a way that made it all sound so matter-of-fact. With a little structured creativity and freedom, students in both classes progressed massively with a text-based programming language. Their achievement was not only being able to program and make decisions about their code for themselves, but also in the memorable musical masterpieces they made. I’m very excited to roll this scheme of work out across the whole of Year 8 this academic year to see what more fun we can have in class. This video is an example of work prepared by a pair of girls in Year 8 (kids in Year 8 in the UK are aged 12 and 13) who are part-way through the Sonic Pi set of lessons. We’ve been so impressed by what we’ve seen so far from Sam and Carrie Anne; we look forward to seeing what comes next. Kids we’ve spoken to have been really excited and enthused by Sonic Pi, and have been hard to drag away from the class Raspberry Pis at the end of sessions. This is a program of lessons that gives kids the freedom of action to take their own Sonic Pi project in any direction they want to, moving away from the sort of lesson where everybody works on the same piece of software, and giving students the agency to develop their work in an individual way, while almost accidentally becoming familiar with an important set of fundamentals. Carrie Anne and Sam are running trials of the project in a number of different schools with very different demographics, and so far, the results look great. If you’d like to use Sonic Pi and the scheme of work Sam and Carrie Anne have created in your own classroom, you can download everything for free at the Sonic Pi website. You’ll find other teachers in the forums here at Raspberry Pi, especially in the education section. 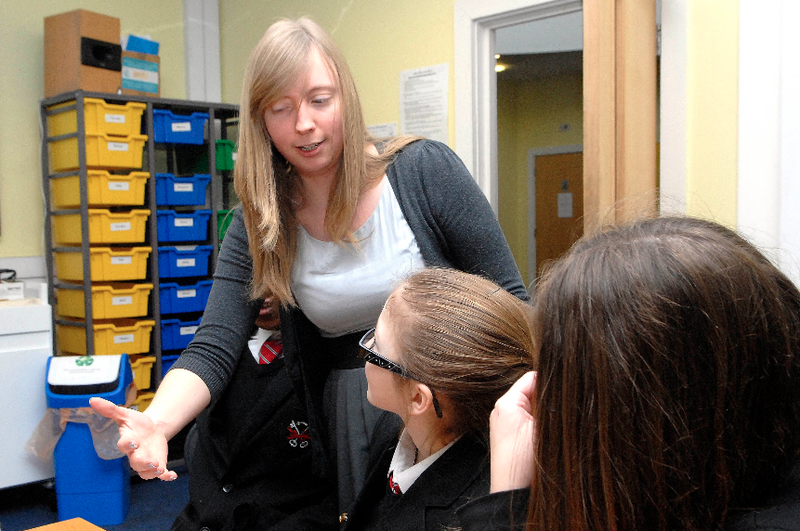 Non-teachers are also encouraged to check out the software and the scheme of work for themselves. Please join in, both there and in the comments here – we, and Sam and Carrie Anne, would love to know what you think. This is exactly what we need to schools – a simple, gentle intro to the world of programming that is, at it’s core, fun! Might make a good children’s workshop for the next Cambridge Raspberry Jam. Was that the sound of you volunteering, Miss Philbin? I think it would be awesome! It’s Michael’s show and I’m not trying to steamroller anything (honest!) but I think multiple tracks could work well. Talks in one room and more hands-on “doing stuff” in another. I really like the sound of that. I have resources that could help with all the above! Worryingly that does sound like me volunteering. If I can make it, I will help out. Michael! Thats so true dude. Cryptolytic language is maybe not proper education for the age group. really amazing work; how i wish Carrie Anne and RPi were available when i was a kid!! Thank you RPi and and Carrie Anne. As a family we had the great good fortune to attend a Sonic Pi session run by Carrie Anne at the National (UK) Museum of Computing. We have been interested in Sonic Pi ever since we first got a sniff of it and we were wondering how long it would be before it put its head above the parapet. Well done to Carrie Ann and Sam for all the effort they are putting in. This makes me wish I was back at school and that’s not something I say very often! Awesome! I will definitely be giving it a look! Language needs extending to make it read more like muslc. The pitch should be by the name of the note, and not by its nominal frequency. Then you could write “key=Eflat,2/4: play 7CCC,A.,7CCC,A., …” or something similar. By sticking to frequencies they are not restricted to modern Western musical approaches – Arab maqam and just intonation are both possible, for example. From the text it appears that the aim is to teach mathematical and computing concepts through music, rather than music being the sole aim. This also speaks for preferring to discuss notes in terms of their frequencies. Sam was always full of stunning ideas, and helped me through parts of my degree when we were at university. It’s nice to see hes still educating the world with his enthusiasm. lovely to see you here. You should totally get your Sonic Pi on ;-) Once you’ve caught the bug, check out Sonic Pi’s big brother: Overtone. Also, check out my live coding band Meta-eX. You should come along to one of our gigs. It would be great to meet up again. Thats how my computer classes are too! The sad thing is though, most of the other kids in my class can’t even find whatever program we’re learning to use. I can’t recall having ANY teacher on ANY subject who was as good as Ms. Philbin. The CS field is richer for having her. I notice that you can save files in mp3 format as well. lovely music for computing the resource to teachers and its also innovative……. o this package is only for pi?